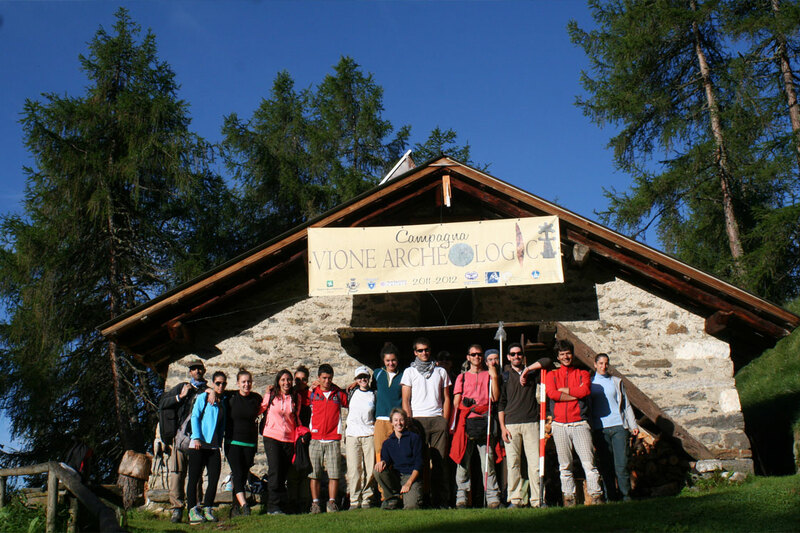 The archaeological investigation of Tor dei Pagà related to the project “Vione archeologica – Project to develop and enhance the archaeological heritage of the Comune of Vione” took place during the summer months of 2011 (1-13 August), 2012 (16 July-11 August), 2013 (15 July-9 August), 2014 (21 July-8 August), 2015 (20 July-7 August), 2016 (18 July-6 August) and 2017 (24 July-4 August). This represents a total of 22 weeks of fieldwork. The protohistoric excavations at the site began in summer 2015. The excavations were directed by the Soprintendenza Archeologia Belle Arti e Paesaggio per le province di Bergamo e Brescia (dott. Andrea Breda for the medieval phase and dott.sse Serena Solano and Maria Giuseppina Ruggiero for the protohistoric phase). The medieval excavations were conducted in collaboration with the teaching programme in Medieval Archaeology at the Catholic University of Brescia (Prof. Marco Sannazaro). 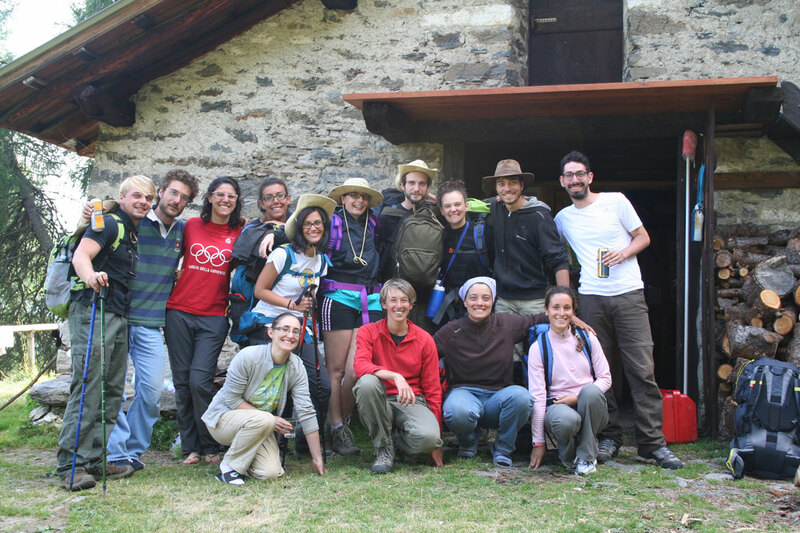 The summer fieldwork was conducted by professional archaeologists but was open to volunteers and both undergraduate and postgraduate students from the Catholic University in Brescia and Milan along with other universities. The local government of Vione, guided by the mayor, Mauro Testini, and the councillor Luigi Sterli has played a fundamental role in creating, supporting and resourcing the project. Gabriella Paoli, Fabrizio Riva and all the employees of the Comune of Vione made an important contribution in making funding applications and dealing with other administrative aspects of the project. 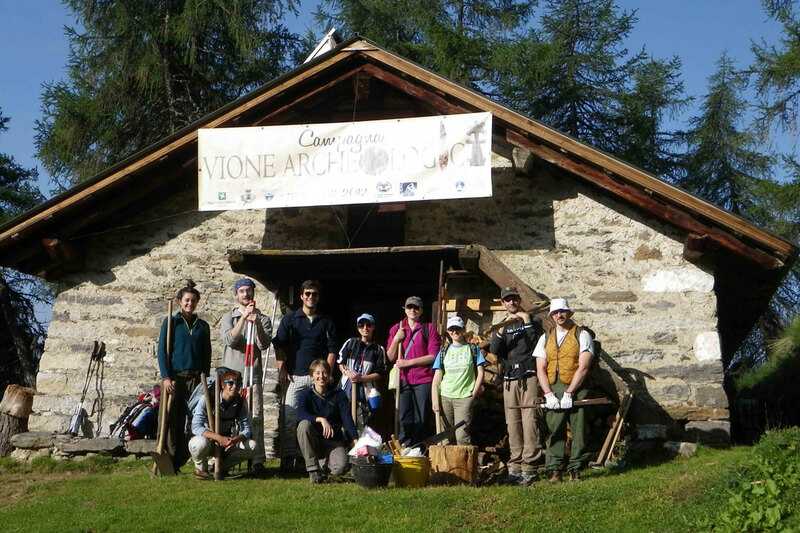 Fieldwork was conducted under the guidance of Giovanna Bellandi, Delia Fanetti and Alberto Scippa, with the help, over the years, of Dario Gallina, Ylenia Borgonovo, Ilaria Raimondi, Marco Vignola, Deneb Cesana, Marco Mottinelli, Guido Guarato, Riccardo Valente, Chiara Bozzi, Alessandro Bona and Ricky Radaelli. 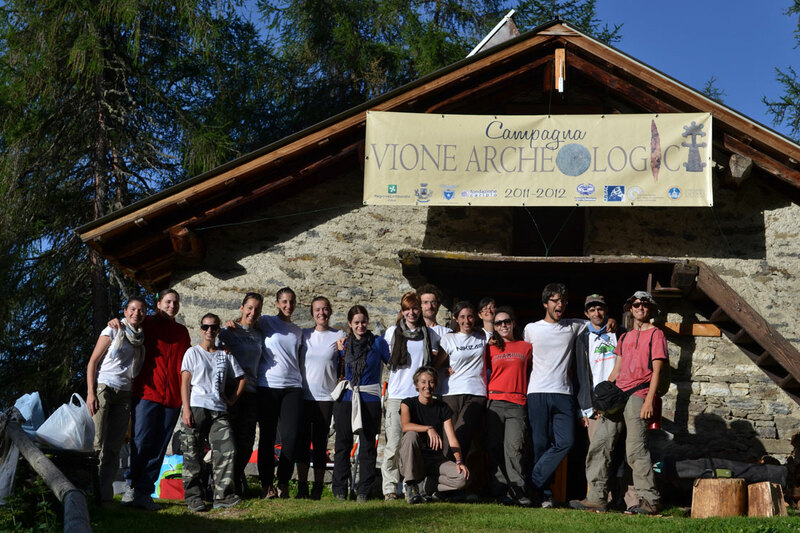 Nicola Degasperi and Michele Bassetti, assisted by Alessandro Potì and Nicola Pedergnana (all of CORA Società Archeologica from Trento) and Giovanna Bellandi and Riccardo Valente (from the Catholic University) carried out the protohistoric phase excavations. From the Catholic Univeristy: Stefano Amolini, Annalisa Argetta, Beatrice Bellicini, Lorena Berardi, Elisa Bessone, Jessica Bezzi, Alessandro Bona, Chiara Bozzi, Claudia Campagnoli, Barbara Chiapello, Massimiliano Delmenico, Tania Demartis, Margherita Di Tolla, Daria Dottorini, Alessandro Dozio, Denise Faciocchi, Fabio Gafforini, Monica Gamba, Carlotta Giè, Alessia Giuliani, Melissa Gottardi, Guido Guarato, Claudia Ilacqua, Eleonora Latiri, Silvia Lovera, Carlo Lualdi, Marta Lumini, Marta Marassi, Chiara Marastoni, Romina Marchisio, Laura Mastrogiuseppe, Chiara Milanesi, Camilla Nacci, Valeria Omodei, Valeria Onolfo, Ester Panisi, Valentina Parente, Stefano Parolini, Valeria Parrini, Giovanna Pedrali, Mara Pecci, Sara Perrone, Luca Pintaudi, Greta Polenghi, Chiara Pupella, Ricky Radaelli, Giulia Raiteri, Elisa Re, Ilaria Rota, Davide Servidio, Daniela Speranza, Alberto Tollini, Davide Torosani, Giulia Tozzi, Letizia Turconi, Riccardo Valente, Caterina Vergine, Valeria Vianelli, Marco Vignola, Davide Zucchi. From the University of Padua: Stefano Azzi, Elisa Politano. From the University of Cadiz (Spain): Jaime Mariscal Marchante. As volunteers: Elisabetta Bellandi, Erika Boldi, Vittorio Ferrari, Lorenzo Rossi. Dott. Franco Saporiti and dott. Marco Bolzoni from the Catholic University respectively took care of ensuring that the students were fit for the project and that the worksite was safe. Elena Spalli from the University took care of administrative aspects. 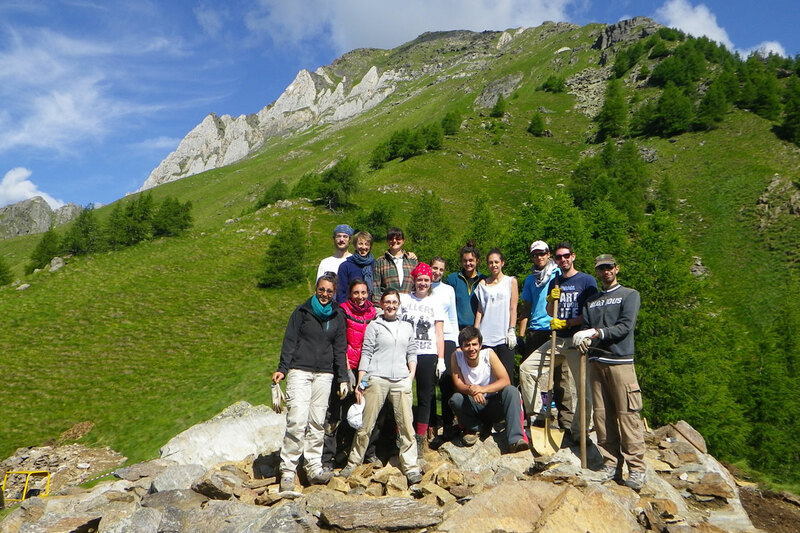 Guest lectures and training during the field season were provided by Craig Alexander, Giovanni Vanoglio, Paolo Corti, Benedetta Castelli, Annalisa Buono, Edoardo Mocchi and Fabio Bona. We thank our colleagues Jon Mills, Jim Bishop, Paolo Corti and Craig Alexander for assistance with survey instruments. We thank the documentary filmmaker Elisa Nicoli for spending the 2014 field season with us and filming the project. The English translation of the site was made by Craig Alexander. It is impossible to list everyone that has, over the years, contributed in various ways to the success of the research at Tor dei Pagà. However, we must say a special thank you to Dimitri Tomasi, Silvio Tomasi, Venanzio Tomasi, Daniele Pedrotti, Alberto Ziletti and Fabrizio Bonera for their constant and indispensable assistance during the campaigns in the field. We also thank Magherita Rossi, Caterina Testini, Monica Testini, Emma Sandrini, Guido Testini, Dario Ferrari, Giulio Coatti, Mirko Cattaneo and Stefano Poli for having supported us in various ways.